50% More Battery Life with NEW HTC Touch Diamond 2! The title of the post says it all. 50% more battery life will make all current HTC Touch Diamond users very excited. Here is a new pic of the HTC Touch Diamond 2 as well. Looks sweet! 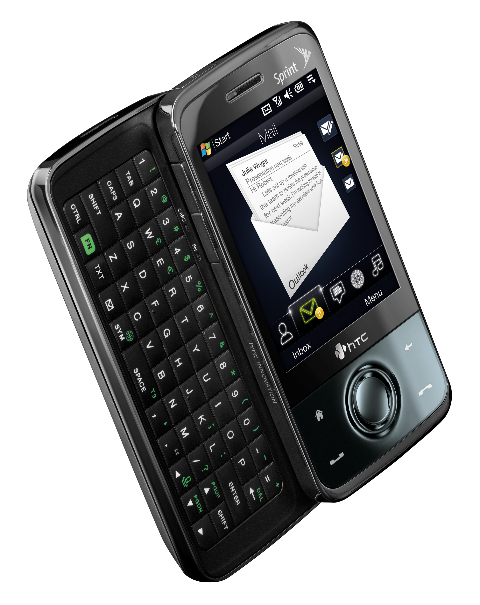 I will admit that HTC has got me excited with the HTC Touch Pro 2. Yes, I own the HTC Touch Pro and overall it's a nice phone. The aesthetic differences in the upgrade are nice! The first thing that really grabs me is the ability to swivel the screen up and down when texting or writing emails. Awesome! I will tell you right now, I'm putting some money aside for this phone:-) If you want the phone too, you have some time to save. It won't be released until later this summer, which means if you're in America like me, we might get it by the end of 2009. More release updates to come. The new HTC Touch Pro2 leverages voice in a new way to create one of the most sophisticated communication experiences found on a mobile phone. HTC's new Straight Talk technology delivers an integrated email, voice and speakerphone experience. Users can transition seamlessly from email to single or multi-party conference calls and turn any location into a conference room. Some of the differences over the HTC Touch Diamond released in 2008: A larger 3.6-inch 480 x 800 LCD screen, 5 megapixel camera with autofocus, and a New version of TouchFLO 3D. Surprisingly the phone is .54-inches thicker than the original Touch Diamond. Either way, it looks sweet! As you can see Windows Mobile 6.5 has some asthetic differences over the current 6.1 version. Besides the start menu now spreading out into a honeycomb for "finger friendly" selections, probably the most exciting features for windows mobile users are the My Phone service and Windows Marketplace for Mobile. The My Phone service will be FREE and in some ways will mirror Apple's Mobile Me. Many details still to come on this one. There is no doubt that one of the coolest things about the iPhone is the seemingly endless selection of applications and the ease of adding those applications to the phone. Microsoft woke up from their nap and will attempt to close the gap between the iPhone and Windows Mobile phones, by allowing users to search, browse and purchase mobile applications through Windows Marketplace for Mobile. Release date on WM 6.5 is sometime later this year. A little iPhone competition from Microsoft? Could Microsoft be ready to finally narrow the gap on Apple and its iPhone? We should get a glimpse later this month. Read on! Microsoft to Bolster Cellphone Strategy - WSJ.com. This is craziness! Check it out! OMG! Clermont girl texts 35,000 messages in 1 month -- OrlandoSentinel.com. Windows Mobile Mail not sending messages? Here is the fix!! A few days ago I finally fixed a problem I had been having with my Sprint HTC Touch Pro. For some reason (an update I assume) I was still able to get mail messages, but not able to send any. I would get some error message. I let it go for days, until finally finding the fix. Just click the link below and solve your issue. In my opinion Sprint should send out emails telling users how to correct these issues, rather than the user having to figure it out ourselves. Download details: WM 6.1 Hot Fix for Sending POP and IMAP E-mail . One of the cool features with my new HTC Touch Pro phone is the GPS. It is amazing! Turn by turn it guided us from our home door to the Resort. Because Reynolds Plantation is out in the country, we would surely have missed at least two turns on the way up. Just awesome! I haven't always been a fan of Sprint, but their unlimited everything plan for just $99 is hard to beat. Ok, time to go get some massage treatments. Peace! Ok, so i'm way behind on this...but at least I'm here. My NEW Phone: HTC Touch Pro!! I unbox the bad boy!